← Camden Town Hall extension development – another tall building? A year ago to the hour, Deep Lee, 24, was killed after being hit by a lorry as she cycled to her studies at Central Saint Martins in King’s Cross. 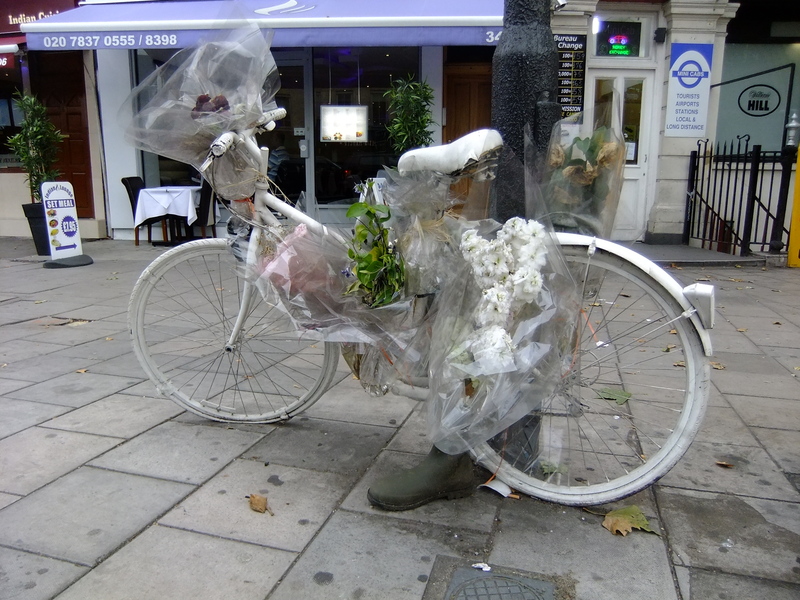 She became the 13th cyclist to die on London roads last year. One is too many, but somehow a tipping point was reached and suddenly the issue of cycle safety in London became something impossible to ignore. Something had to be done. There were vigils to remember the 13 cyclists (sadly there were to be another three fatalities before the year ended); tributes to the talented designer herself, who was no stranger to cycling in London and close to graduating; and a series of go-slow actions on the junction by cyclists and walkers was held on wintery Monday evening rush hours by Bikes Alive, tailing off as summer began. A ghost bike was installed for Deep Lee in the junction. It became the visual symbol for what was building into a big campaign. And it reached another level when the Times launched the Cities Fit for Cycling – again the catalyst was tragedy – Mary Bowers, a reporter for the newspaper, was hit by a lorry while cycling to work in Wapping, just a month after Deep Lee, and remains in a coma. In minutes from a review of the 2009 Colin Buchanan report (my highlighter markings), TfL’s consultants drew attention to the fact that they were not required to assess junction redesigns for pedestrian safety and it would have been useful to “see some collision savings” with proposals. A police investigation was launched into whether TfL has a corporate manslaughter case to answer if it knew that the junction outside King’s Cross station was dangerous. And it continues. And now that the mayoral election and the Olympics have passed, momentum has slowed, but it also means these two events can no longer be used as excuses for delay. A further TfL review of the junction was announced in December last year, but local stakeholder groups such as Living Street King’s Cross are still waiting for the promised “consultations” and London Assembly members continue to ask the mayor for an update (and here too). Findings are not due until next summer, but there should be surely be more transparency and interim reporting nearly 11 months after starting. Deep Lee’s ghost bike may have been moved to the other side of the junction (which was meant to be a temporary measure and it ought to be back in its original spot by now), but it hasn’t been sidelined, and it is rarely devoid of flowers, and persons unknown quietly maintain it. So too the pressure for a safer King’s Cross for pedestrians and cyclists must be kept up, and not be allowed to be diverted, nor forgotten. 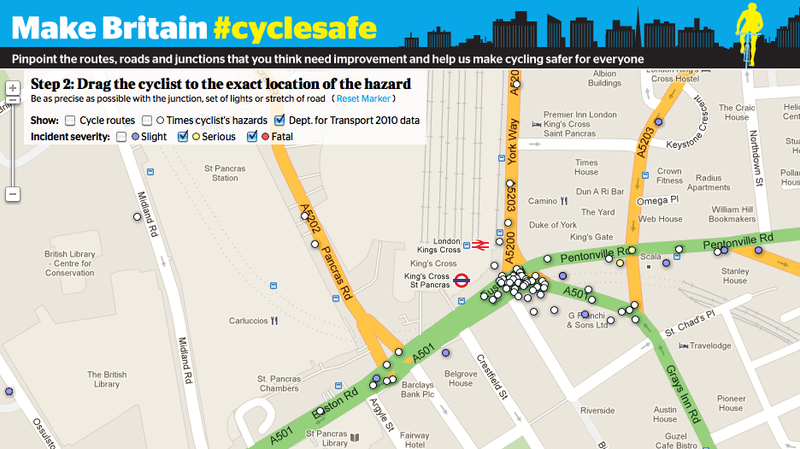 This entry was posted in Road Safety in Kings Cross and tagged corporate manslaughter, cycle safety, Deep Lee, Gyratory, Min Joo Lee, TfL. Bookmark the permalink. I don’t think that the CPS reply is correct. That is, they may very well be right that there is no prospect of successfully prosecuting TFL for CM, but not for the reasons given. The CPS statement effectively says that because the road was laid out before the Act commenced, it doesn’t apply. That’s just wrong. The Act is concerned with the state of affairs at the time of the death, it doesn’t matter when it came into being, what matters is how bad it was when the death occurred. If an authority installed a dangerous junction in 2007, or 1907, it’s irrelevant – the question is, did they breach their duty of care in 2012? As a general rule, the longer an unsafe state of affairs is permitted to exist, the greater the likelihood that the breach of duty will be gross. This might be worth clarifying with CPS, because the reply reads as if the Act will only be held to apply to traffic arrangements set up post 2008, which would indeed limit its effect considerably.